The women at Modern Surprises LLC, needed someone to answer the phones. Jay Ecklund was hired. From the very first day, he found this was no ordinary company: the science division there had secretly developed a portal that would allow them to go to anywhere on Earth. Madeline Chang, a military veteran and owner of Modern Surprises, had a plan: to use the portal as a device to help those in need. However, billionaire industrialist Charles Vance found out about the portal, and was willing to lie, cheat, and steal to get it for himself. But Madeline, Jay, and the rest of the team were not about to let him have it. A note from the author: if you enjoy television shows that show how science works, Modern Surprises is for you. I definitely had fun with the novel, and intended for the characters to have fun, as well—because I believe science is fun (I have a physics degree). Through the novel, readers experience how technology needs to be tested, how there are are unexpected effects, and how technology doesn’t always work in the way the original design indicated it might (and that can be delightful). When the characters find that the portal, Arachne, responds to music, it adds yet another dimension to the technology. I hope you’ll have fun with the story, too. Paul Cornell, author of London Falling, The Severed Streets, and Who Killed Sherlock Holmes? Joan’s prose is always cool, it’s a majority female team and that’s such a good title. Leah came to Autumn World only to observe. But when her survey ship crashes, and the other survivors, traumatized, run away, she finds herself in the midst of a political and religious struggle on an alien world she barely knows. The novel is well-crafted and a very good read with lots sf world-building detail which takes place on a heavier-than-earth-gravity planet with some really neat aliens. It is a lot better than 90% of the stuff that you can find on a rack at...the big chain bookstores. This is a complex and fascinating science fiction story with a well-developed but very alien world. ... Some of the aliens are extremely alien compared to humans, though they usually have understandable motivations. The book would appeal to young readers as well as adult readers. Something has fallen from the sky. Could it be the Sky Dwellers, as the Old Religion foretold? If so, bloodletting is at hand: the Veen, the New Religion, will destroy anyone and anything that threatens their hold on the capital. Something has fallen from the sky. Could it be sentients from another world? The Knowledge Brokers have recovered lost technology and used it to send signals, but it could be a Veen trap. Something has fallen from the sky. Does it matter what it is? The local Veen prelate wants it and everyone who's seen it destroyed—except that Knowledge Broker Thiele and her beautiful, beautiful feet. Their ship has fallen from the sky. Was it sabotage? A human survivor faces an alien world, combating religions, rival philosophies, telepathy between twins, a lost alien race, and an impossible connection with a soldier terribly, horribly orphaned by being a single. Joan Marie Verba earned a bachelor of physics degree from the University of Minnesota Institute of Technology and attended the graduate school of astronomy at Indiana University, where she was an associate instructor of astronomy for one year. Her first career, as a computer programmer, lasted ten years. After being laid off twice from computer programming jobs, she retrained as an editor and currently works as one. An experienced writer, she is the author of the books Boldly Writing (FTL Publications, 1996), and Voyager: Exploring the Outer Planets (Lerner Books, 1991), as well as numerous short stories and articles. She is a member of the Science Fiction and Fantasy Writers of America, and the Society of Children's Book Writers and Illustrators. Tess Meara is a business and technical writer and editor by trade, and freelances widely for electronic and print publications. Tess is a founding member of the National Writers Union Twin Cities Local, and a member of the World Wide Web Artists Consortium, the Society for Technical Communication, and the Horror Writers Association. Autumn World is the second genre novel she has published. Deborah K. Jones is a writer, designer, and fiber artist. Creator of many award-winning costumes, she is a two time Best in Show winner of the World Science Fiction Convention Masquerade. She has worked as a high school teacher, curriculum researcher, newsletter publisher, database manager, graphic designer and full time mother of two. She is married to a professional astronomer and lives in Minnesota. 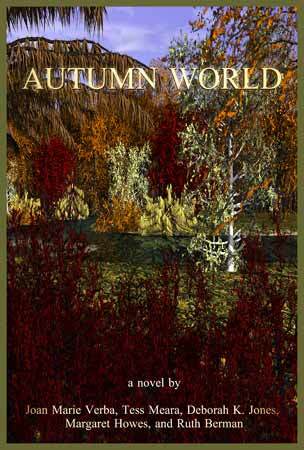 Autumn World is her first published work of fiction. Margaret Howes is a retiree who has become a storyteller in the Society for Creative Anachronism. She has had short stories published in The Tolkien Scrapbook and Sword and Sorceress VIII, and is the author of the science fiction novel, The Wrong World (FTL Publications, 2000). She has drawn maps for the books Murder at the War by Mary Monica Pulver, The Best of Leigh Brackett (Ballantine/Del Rey, 1977), and the Underwood-Miller edition of Showboat World by Jack Vance. Ruth Berman was conceived in Texas, born in Kentucky, and resident in Minnesota most of the rest of the time. As a middle child in a family that went in for reading aloud, she grew up hearing and speaking a wide variety of books, such as Mother Goose, Shakespeare, Lewis Carroll, L. Frank Baum, Louisa May Alcott, or Christopher Morley. Her work has appeared in The Saturday Review, Amazing, Asimov's SF, Weird Tales, The Poet Dreaming in the Artist's House, Burning with a Vision, Aliens and Lovers, The Tolkien Scrapbook, New Worlds, Shadows, Mathenauts, Xanadu, and many other magazines and anthologies. Her book, Dear Poppa: The World War II Berman Family Letters (Minnesota Historical Society Press, 1997), was nominated for a Minnesota Book Award. 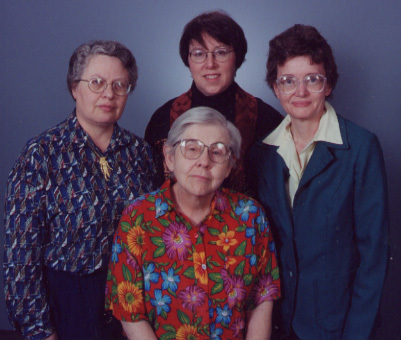 All of the above writers are members of the Aaardvark Writing Group, the oldest science fiction writers' workshop in the Twin Cities currently in existence. Founded in 1974 (by Eleanor Arnason and Ruth Berman), it was originally nameless. As other groups became active, a name was needed, and "Aaardvark" (extra "a" intentional) offered alphabetic advantages. The group has seen members through to publication of novels (science fiction, fantasy, mystery), nonfiction books and articles, short stories, and poetry. Several of the Aaardvarks decided to tackle writing a group novel (Autumn World) as a project likely to be challenging, instructive, and fun—which it was.